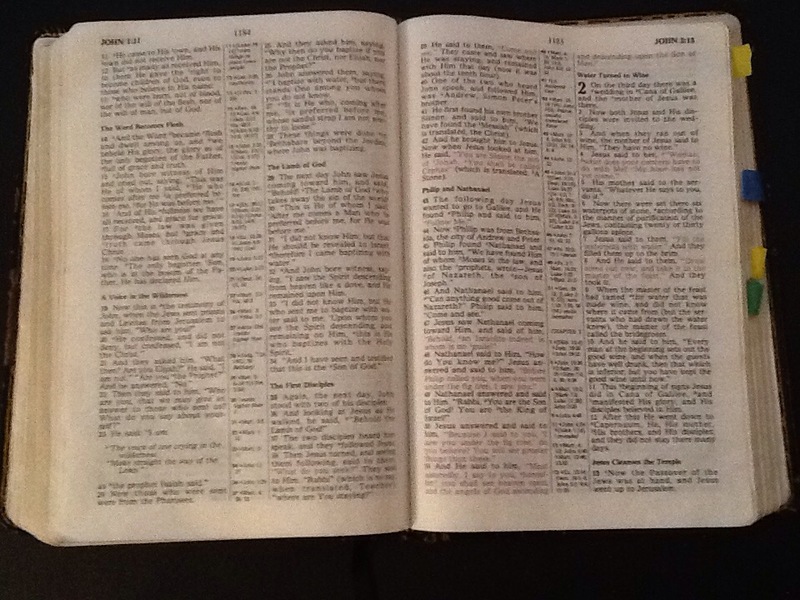 Posted in: Christian, Christianity, Religion, Spirituality, Uncategorized. Tagged: Christianity, Faith, Mark, Religion, Renewal, Witness. After the experience of being tossed about like cork upon the sea, then crying upon Jesus to help them and at His command even the winds and the sea obeyed His voice, and now they were on the other shore, and what do they see, but a man with an unclean spirit rushing toward them. Don’t know about you, but even after all I had heard and seen Jesus do, this would have frightened me. Frightened me enough that I would have considered, getting back into the boat and pushing off to return where I came from. A short distance to the south of the village of Kursi is a steep bluff that descends abruptly to a narrow shore. Jesus and his disciples may well have disembarked just to the south of this bluff, where the beach widens and the hills recede from the lake. The limestone hills in the region about Kursi abound in caverns and rock-hewn chambers. Dug out of the comparatively soft limestone, chambers such as these were commonly used as burial places in ancient Palestine. One Bible writer when commenting on this scene said that this man, has little likeness of humanity left in him as it seems to have been blotted out by the demons that possessed him. He looked more like a wild beast than like a man. Again as in the past, even though the religious leaders and most of the people failed to see that Jesus was the Son of God, sent to be the lamb that takes away the sins of the world, the demons and unclean spirits that had been cast out by Jesus all recognized that Jesus was indeed, God in human flesh. They recognized, even within this man possessed by unclean spirits, the spirits caused the man to bow down and they worshiped Jesus. A Roman army division, which, at full strength, consisted of approximately 6,000 footmen and 700 horsemen or a total of about 6,700. Commonly, as with modern armies, the legion was not maintained at full strength. Though the demon’s use of the name legion may be taken literally there is no way of determining the precise number. The expression is best understood in the general sense that there were many demons. Although they bowed and acknowledged Jesus as being the Son of God, they were still determined to thwart the ministry of Christ. After all, Satan new that if Christ was to gain acceptance among the people then his power would be limited. Satan understood that if Christ was to make it to the cross and die upon the cross his fate would be sealed. So If Satan could turn the people against Jesus, then he might cause the ministry of Jesus to be cut short. For death of Jesus by any other means other than the cross would result in a failed mission. 11 Now a large herd of swine was feeding there near the mountains. 12 So all the demons begged Him, saying, “Send us to the swine, that we may enter them.” 13 and at once Jesus gave them permission. Then the unclean spirits went out and entered the swine (thee were about two thousand); and the herd ran violently down the steep place into the sea, and drowned in the sea. Ok, if I was an unclean spirit and it was my purpose to disrupt the ministry of Christ, the best way to do it would be to affect the income of those around so that they would turn against Jesus. Because the income of the people was affected, then they turned upon Jesus who had caused or allowed the demons to destroy the herd of swine that was the income of those that lived in the nearby city. Often in our Christian experience as we spread the seed of the gospel we as messengers or sowers of the truth are not accepted. We like Jesus are rejected, our efforts seem to have been for nothing. Those we have come to serve, reject us and ask us to leave. So as the experience was for Jesus, was the experience of all the disciples and even His faithful disciples today. Christ had been fruitful in that he had changed the life of this man forever. Never more would he be tormented by the legion that had dwelled within him. No more would he strike terror in the hearts of those he came in contact with. In the last half of verse 18 he begs Jesus to allow him to accompany Him, to become one of His disciples. For years, I stopped reading this story right at this spot wondering why, is it that Jesus would not allow him to follow Him, especially since you and I are invited to follow Jesus. I failed to understand the reality or fully comprehend the significance of what Jesus had done and the reason for Jesus’ refusal to allow him to accompany him. Jesus said to him, “Go home to your friends, and tell them what great things the Lord has done for you, and how he has had compassion on you” (Mark 5:19). My friends, Jesus has performed great miracles in your life and mine. We may not always see it or even understand the significance of what he has done, but rest assured, that God has performed great miracles in your life. You may not think that you are a disciple of Christ, and He may not have seemed to have given you a specific service for His kingdom, but by the miracles that others see in your life, you can be the strongest witness Jesus has to your family and friends. They may reject Jesus, but by the way you live your life, you can be the strongest testimony that Jesus has to the effect that a changed heart can have with others. You may not be called to ministry or to preach the gospel message from the pulpit, but you can be sowers of the seed. People as they look upon your life, the way you treat others, and respect God, will change hearts, making them more respective of God and the influence of the Holy Spirit. This morning I ask, are people marveling at the work that has been done within you? If you have accepted Christ as your saviour, if you have invited him into your heart, then others will see a change in you, and they will want to know, what happened to you that you have changed so much. Jesus and his disciples left the region of Decapolis and returned once again to the other side. The greatest evidence of God’s power is the change that takes place within the lives of all those that accept Him as their saviour. This is the greatest testimony anyone can give of the power of God, is the change within the lives of those who love him. This man was the first missionary that Jesus sent out to preach the gospel. The people of the region never heard a sermon from the lips of Jesus and if he had they would have fallen upon deaf ears. It was the witness of the demonic man, the testimony of what he had encountered, how his life had been changed that gave power to his message. As witnesses for Christ, we are to tell what we know, what we ourselves had seen, heard and felt. If we have been following Jesus step, by step, we shall have something right to the point to tell concerning the way in which he has led us. Then we too can bear witness to what we have known of the grace of Christ. This is the witness for which our Lord calls, and for which the world is perishing. What then, is your testimony? Posted in: Christianity, God, Religion, Spirituality. Tagged: Christ, Christianity, Friendship, God, Relationship with Christ, Religion, Renewal, Spirituality. For those of us that live upon this earth, there is an inevitable reality, which is, we shall all eventually die. But the prophet Isaiah gives us these words of comfort. For those who follow Godly paths will rest in peace when they die. Isaiah 57:2. Isaiah continues in chapter 57 in verses 14-21, God revives, heals, and gives peace to those who are contrite. Isaiah 57:19, 20 gives us this clear message. “Peace, peace to him who is far off and to him who is near,” says the LORD, “and I will heal him” But the wicked are like the troubled sea, when it cannot rest, whose waters cast up mire and dirt. God extends the invitation to all to enter into a relationship with Him. God wishes that none should parish, but that all should have everlasting life and peace that surpasses all understand.